Home What Causes Tooth Sensitivity? Every so often, it is normal to feel a twinge of pain or sensitivity when eating or drinking food products that are hot, cold, sweet, or sour. But if you experience consistent sensitivity with hot and cold foods, or sharp flashes of pain when you brush and floss your teeth, you may have dentin hypersensitivity – the medical term for tooth sensitivity. The first line of defense against tooth sensitivity is enamel: enamel is a strong, hard layer of material that covers your teeth and fights off acid and bacteria that cause tooth decay. When it becomes eroded or worn down, it uncovers cementum – a calcified material that covers the tooth root. Cementum is not as strong as enamel, and if it too becomes worn down, then dentin – the tooth’s final layer of protection – is exposed. Dentin is made up of hollow tubes and canals around the tooth nerve, which means the sensations from cold air, hot coffee, ice cream, piping hot pizza, and sugary candies can reach the nerve endings and cause radiating pain. Cavities, cracked teeth, and exposed roots: Cavities and cracks that reach the level of the root will be painful with contact to hot, cold, sweet, or sour substances. Unlike the visible portions of teeth, the roots are not shielded by enamel, and thus are susceptible to sensitivity when exposed. 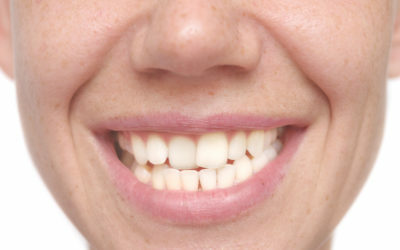 Receding gums: As we age, it is natural for the gum line to begin pulling away from the teeth. But shrinking gums expose unprotected tooth roots to the open air, where they become sensitive to cold or hot substances. Gum disease caused plaque and tartar build-up can also lead to gums pulling back from the teeth. Read more here about the signs and symptoms of gum disease. Worn or broken fillings: If a weak or worn down filling breaks or develops a crack, it may leak filling material and cause tooth sensitivity. Improper tooth-brushing technique: You may be brushing your teeth too vigorously, or with a brush that is too abrasive. Hard, side-to-side brushing at the gum line will erode enamel and cause tooth sensitivity and gum irritation. Use a soft-bristled toothbrush, a light touch, and a 45-degree angled motion when you brush your teeth. 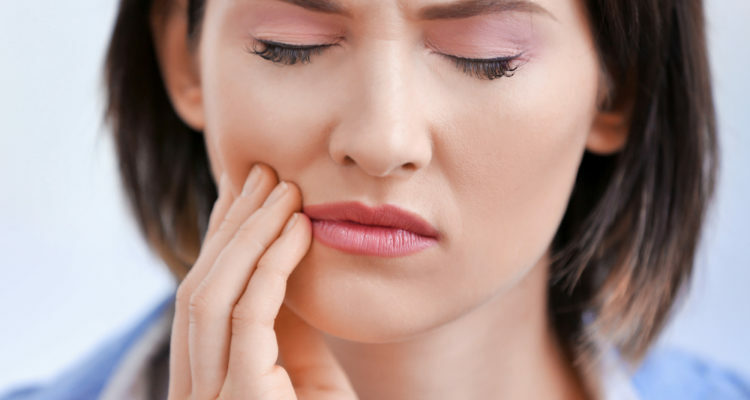 Teeth grinding: Tooth grinding and jaw clenching puts constant strain and pressure on teeth and over time this pressure can wear away protective enamel and cause sensitivity. 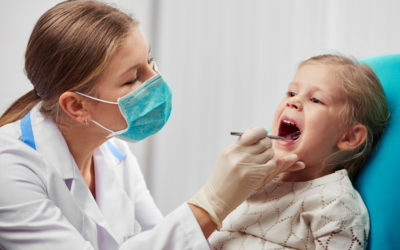 Dental procedures: It is normal to experience tooth sensitivity for a few days after procedures such as fillings, root canals, bridges, crowns, or implants, while your mouth heals. 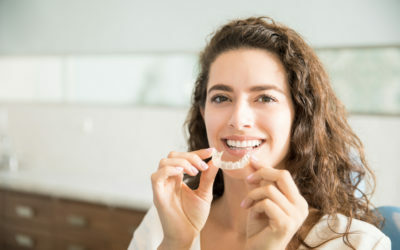 On the cosmetic end, tooth whitening (including tooth-whitening toothpastes) and tooth bleaching can also make teeth more sensitive, so be sure to talk with your dentist before trying anything new. A root canal, if you have severe pain or sensitivity, and all other solutions have proven ineffective. In addition to the treatment options your dentist can offer, there are self-care steps you should be taking at home to keep your teeth strong, healthy, and pain-free. Limit your intake of sugary, acidic, and processed foods high in simple carbohydrates. Bacteria in your mouth feed on the sugar you provide and create an acid that eats away at enamel and causes cavities and tooth decay. Enjoy acidic foods like citrus and tomato products in moderation. Fill your diet with fiber-rich fruits and veggies, along with complex whole grains and calcium-rich dairy products like milk and yogurt. Snack on crunchy fruits and veggies – like apples and carrots – to stimulate saliva flow and keep your mouth moist. Saliva is packed full of enzymes that fight acids and bad bacteria in your mouth. And practice good oral hygiene every day: brush your teeth twice daily for two minutes with a soft-bristled toothbrush and floss once daily. If you are experiencing tooth sensitivity, don’t delay in seeing a dentist any longer. Early detection and treatment of oral problems is crucial to preventing further mouth damage in the future. Schedule an appointment to speak with Dr. Boyett at Boyett Family Dentistry and get to the root of your tooth pain. Call our office at 863-294-9200 today.